The rise in smart phone and tablet use adds new levels of complexity to web design. Yes, people will watch cat videos on those tiny screens, but that doesn’t mean they will struggle to navigate your web site if it’s still designed only with desktop computers in mind. Fortunately, you don’t need three web sites — just one that can recognize different devices and configure itself accordingly. 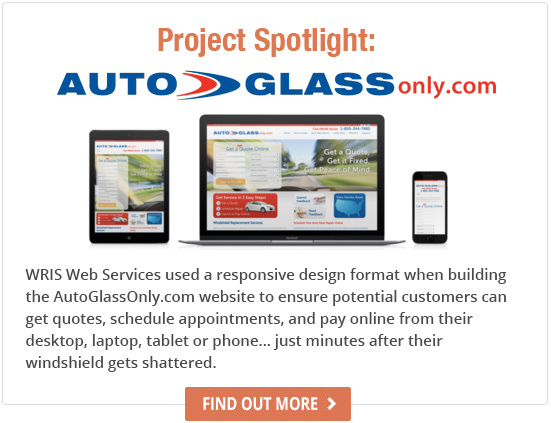 We can help you build a responsive site (unless mobile optimization is a better option for you). Responsive web design allows a single website to work effectively on any size screen or type of device; from the biggest flat screen to the smallest smartphone, and everything in between. Desktop, laptop, tablet... you name it. Websites built using responsive design give your site visitors the best possible experience, and allow you to speak to them in whatever way they choose. School website with users always on the go, or sitting in line to pick up kids? Manufacturing or industrial website with users on the shop floor? Professional services site with users at their desk? Sites built using responsive design adjust automatically in all of these scenarios, based on the device in use, and offer a great experience for all users. Desktops get the full version of a site, while tablets and smartphones get a simplified version without all the bells and whistles.